Since 2013, INELOBOOSTER started off it’s service as a smaller sized service, catering only European players above Platinum ranking. As we have grown, we have also expanded our options for our clients. We now offer our climbing service for absolutely every range in every populated Riot server – North America, Latin America North, Europe West, Europe East, Turkey, Korea. We are the most flexible and responsive boosting service available on the web, we always follow our strict policies how every order should be proceeded and we leave nothing for robots to handle – everything is completely manual to ensure you the maximum satisfaction and clarity! 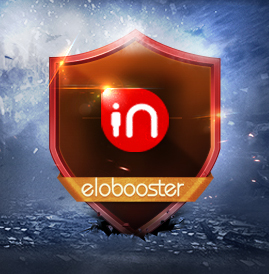 INELOBOOSTER is experienced boosting professionals brought together to provide you with rapid boosting at the most competitive rates. Our goal is to provide the best service for our customers by alleviating the frustrations of ELO hell and getting you back in the game! A support team that will ensure your satisfaction, and help with any problems or questions you may have. We feature a live chat system with 24-hour Customer Support. Have a question? Ask us and receive a speedy response! We are recruiting among the best! The minimum accepted rank for our elo boosters is Diamond 1 or higher, thus your account in the hands of professionals. We deliver our League of Legends Services within 1 - 24 hours. We guarantee our elo boosters will complete your job fast! With boosters hand-picked from players across the globe, you will be sure to find a booster in your region. With our system, there are no risks of getting banned. Your purchase is secured. Our co-workers use custom VPN servers which change the IP address for each and every account, making it impossible for Riot to trace the games back to us. We are constantly evaluating our prices to either match or beat the competition to offer you boosts that don’t break the bank. And have the cheapest prices within the elo boosting market.